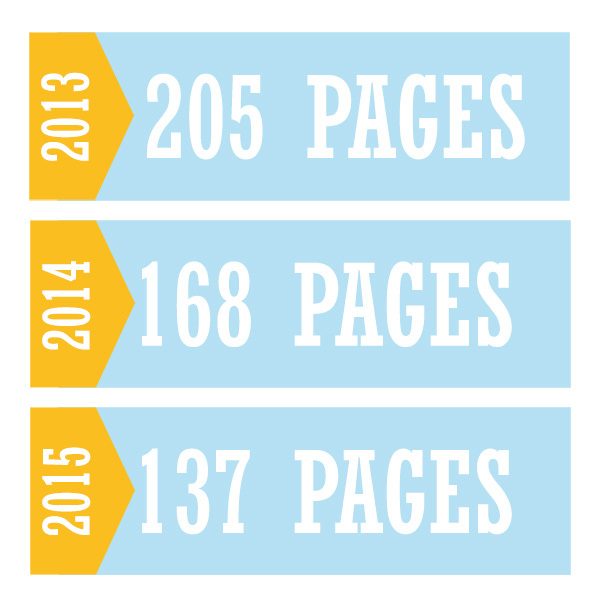 For the last couple of years (2013, 2014) I've gone back and looked at the total amount of pages I've scrapped. It's always fun to see what I've accomplished. This year was a little less than last year, but I did complete 2 albums, and I scrapped a full 12 page calendar (and front cover) for my mom. I'm pretty satisfied with that. 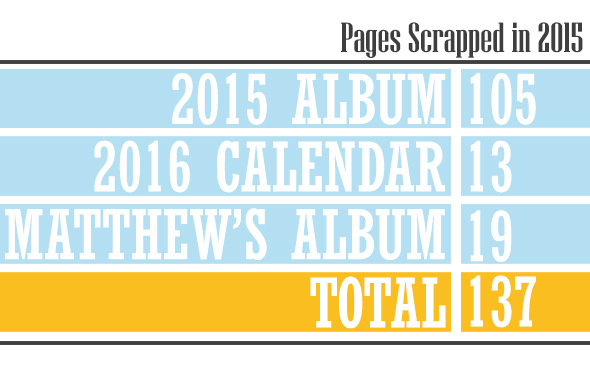 I'll have print review for each of those albums and calendar coming up on the blog soon! It looks like I'm slowly declining in my pages made. I don't know if it's because I'm busier these days with kids, homeschooling, making templates....or if it's just that I'm content with scrapping my weekly pages. I think it really has to do with the latter. As long as I scrap those two pages each week I am happy. I know they are a good review of what our life looks like. One day I'll go back and scrap all those in between photos. What did you scrap this year?